Opportunity Knocks for the First Time Home Buyer or Someone looking for their winter hideaway!!! This very well maintained 3 Bedroom, 2 bath home with attached 2 car garage is move-in ready and has lot to to offer! 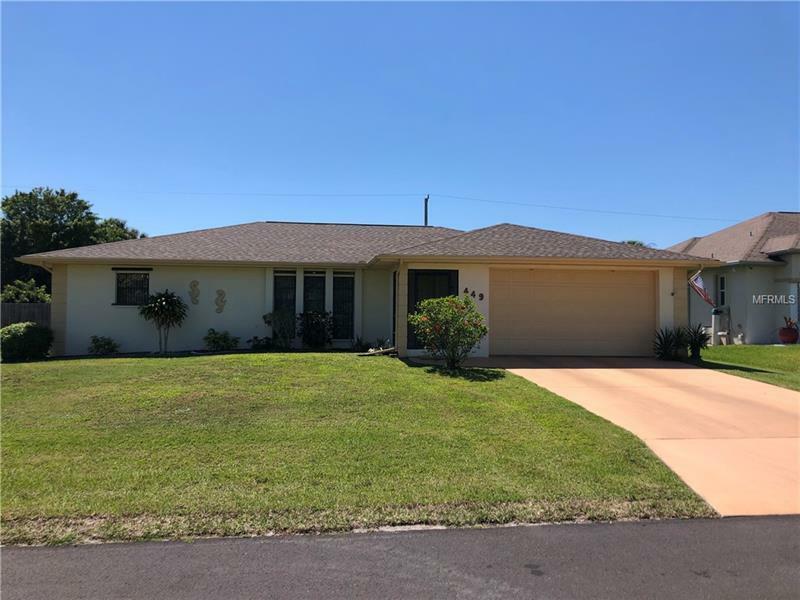 The home is centrally located and features a split floor plan, walk-in closet in master bedroom, inside laundry, hurricane shutters, gutters, a large enclose lanai and an 8'X12' outdoor shed. Other features; per public records the roof was replaced in 2017, the sewer assessment has been paid in full, sewer connected in 2016 and the A/C was replaced in 2011. Don't miss this one!